You won't be able to tell these brownies are Gluten Free. The only thing anyone will say will be can I have another. These Cocoa Brownies are the best you'll ever have! What’s not to love about Brownies? Rich and Chocolaty. 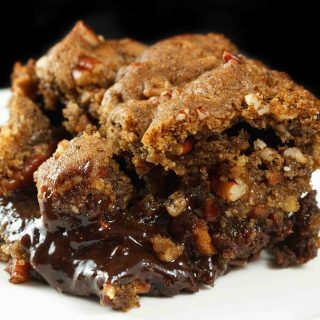 Ooey, gooey and oh so delicious! Now when those same Brownies are Gluten Free it’s an added bonus. 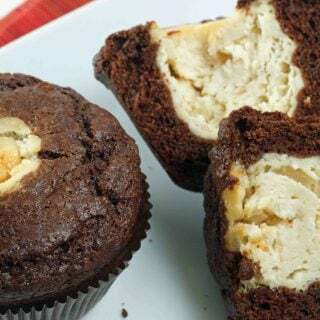 Although I’m no longer 100% gluten free, I still try to eliminate gluten from my diet whenever possible and anything including chocolate is oh so easy to make Gluten Free! I’ve tried a number of GF flours but my favorite is Chef Bob’s Gluten Free flour Blend that he lovingly crafted to work cup for cup as a substitute for regular all purpose flour. And since I had some of Chef Bob’s Flour on hand I decided to make my favorite brownie recipe using GF flour. The good news was they were still OMG delicious, soft and oh so chocolaty! Of course, you can use this recipe to make non-gluten free brownies by simply replacing the GF flour with regular all-purpose flour. I would suggest cutting your cooking time back a few minutes checking your brownies at 22 minutes. 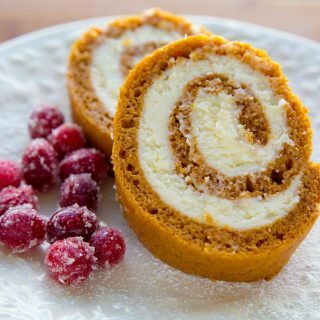 If you’re looking for another OMG delicious gluten-free recipe try out my GF Pumpkin Roll. And it doesn’t have to be the fall to make something delicious with pumpkin! Preheat your oven to 325 degrees and get a 9″ square baking pan. Line the baking pan with parchment or aluminum foil with an overhang on opposite sides so you can lift out the brownies from the pan. 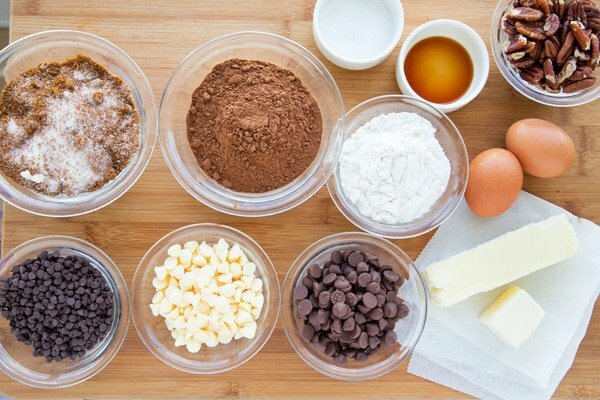 Combine the butter, sugar, cocoa and salt in a heat proof bowl and place it over a small sauce pot with simmering water, to create a double boiler. Stir until the butter is melted and the mixture is smooth. Remove the bowl from the heat and allow to cool just a little bit. Add the vanilla and stir with a wooden spoon. Add the eggs one at a time, stirring vigorously after each one (I’m not too sure just how vigorously you can stir chocolate with a wooden spoon but give it a go). When the batter looks thick, shiny and well blended add the flour and stir until you can no longer see it , and then beat it vigorously for 40 strokes with your wooden spoon. Add the nuts and chocolate chips and spread evenly in your baking pan. After the they have cooled lift the brownies out of the pan and gently remove the foil or parchment from the sides of the brownies. 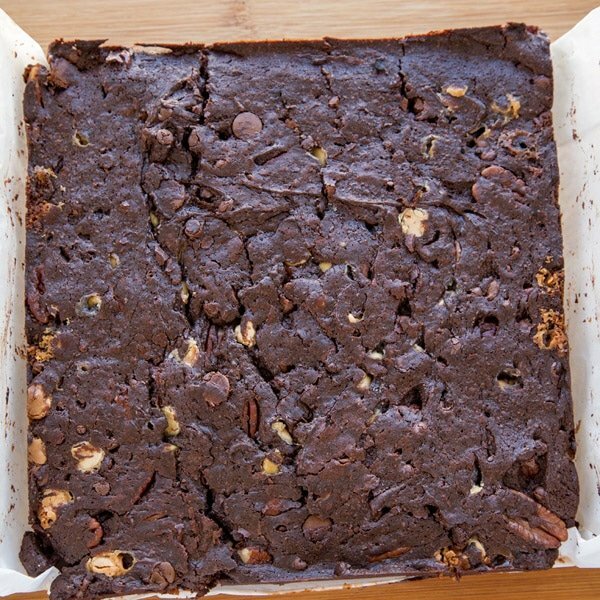 Cut the brownies into squares and enjoy!! I copy the recipe and it does not have the butter In the recipe. I didn’t understand the measurement for the flour, are you writing one cup +1/2 cup? sorry about the confusion, I changed my recipe plugin and it didn’t convert all my recipes properly. I fixed it so all the amounts are correct. The flour is 1/2 cup. you say in the comments 1 and 1/2 cup but your recipe still says 1/2 cup? which one is it? I’d love to make these. I love having a GF option for guests this time of year since so many people are avoiding gluten. 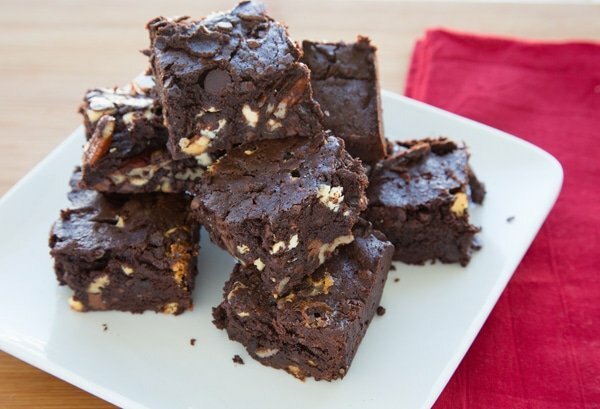 The best part about your delicious looking brownies is that everyone will love these! 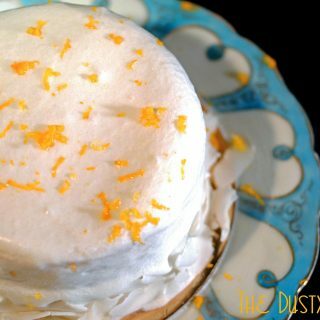 I’ve pinned this for holiday baking this year! 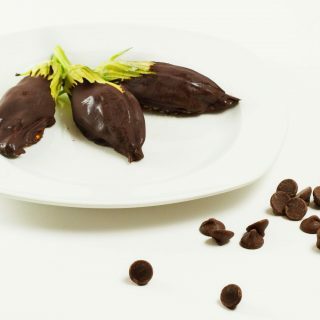 Hi Dennis, They look very delicious! Nice seeing you this week at WFC. Thanks Linda! It was wonderful seeing you too! I’d love to share some of your deliciousness on my live cooking show on blab! They are sooooooo goood Mary Frances! Thanks for stopping by! 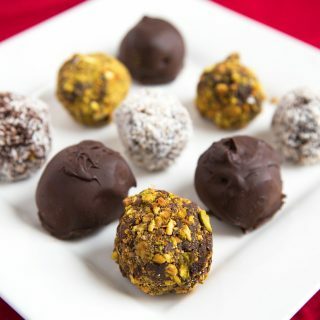 OMG made these yesterday (my Sister is gluten free) and it was a BIG hit with everyone! Delicious and very rich. Best brownies ever!!! Thank you Chef Dennis. Thank you for the feedback Sami, I do love my brownies and even GF these are exceptional! I’m happy to hear your sister enjoyed them! ooooh I love how dense and chocolatey these brownies look-I’d never guess they’re gluten-free! Thanks Kayle, they were amazingly delicious!